Leadership Lafourche is a leadership immersion program designed to train cross-sections of Lafourche residents and workers for productive roles focused on the future and well-being of our parish, institutions, and communities. 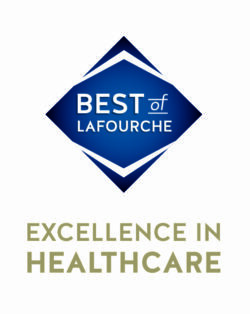 Graduating its first class in 1993, Leadership Lafourche has trained and inspired hundreds of your friends, neighbors, colleagues, and officials toward this singular goal. Leadership Lafourche will provide its participants with a better understanding of the make-up of Lafourche Parish, challenge them to make a difference and provide them with opportunities to meet with leaders and decision makers in Lafourche. Business & Industry, Healthcare, Education, Economic Development, Law Enforcement, Tourism, Leadership and more. Participation in Leadership Lafourche is open to persons with residence or employment in Lafourche Parish. Classes typically will consist of approximately 20-25 individuals. Applicants must have the full support of the organization or corporation they represent. Tuition is $800 and must be paid in full before the program begins. Attendance at the retreats and monthly sessions is mandatory. Any participant missing the opening retreat or the closing ceremony or more than two of the seven full-day sessions will be automatically dropped from the program, and no portion of the tuition shall be refunded.